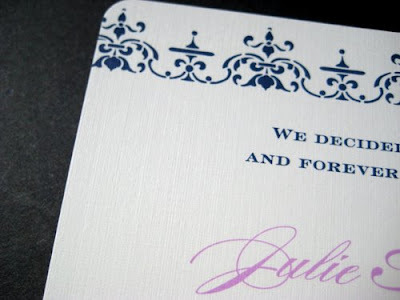 I'm so excited to share this sneak peek with you. 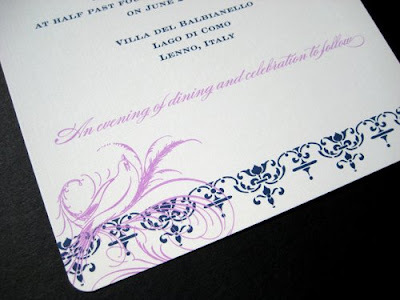 I absolutely love all of the design choices on this invitation... the lilac & navy (in love with that combo!! 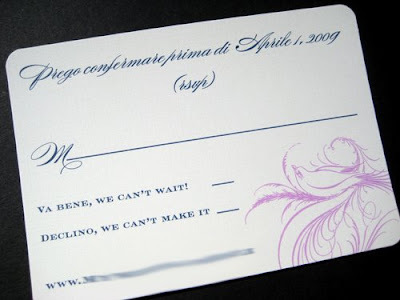 ), the 130# off white card stock, the rounded corners, the Burgues and copperplate font...and... they are getting married in Italy and used Italian on their RSVP!! Not to mention that Julie and her mom Jane were absolute dolls to work with.